Ion360 U, a 360 camera for iPhone 7 (and 7 Plus) and Samsung S8 (and S8 plus) has officially launched. I tried a preproduction version of it a few months ago and I was impressed with the video and live streaming quality. 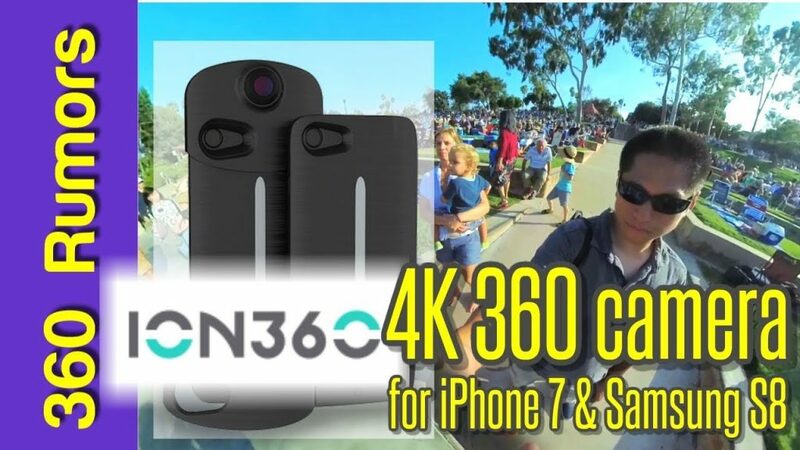 Here is a hands-on review and a sample 4K 360 video. Smartphone 360 cameras — the kind that attach directly to smartphones –are one of the most popular categories of 360 cameras. Smartphone 360 cameras offer convenience and enable users to share their photos and videos to social media very quickly. Until recently however, they had limited video quality. Many of them offered video resolutions no higher than 1920 x 960. This year, however, we are beginning to see a few with 4K 360 video. Ion360 U is one such camera designed for iPhone 7, or 7 plus, or Samsung S8, or S8 plus. It also appears to be compatible with iPhone 8 and 8 plus but it hasn’t been tested with iPhone 8 yet (if you do get one and find it incompatible, you can return it). There are a few things that distinguish Ion360 U from its competitors. 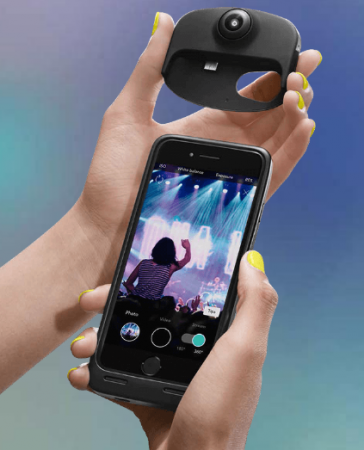 First, the Ion360 U has two components: a smartphone case with built in large-capacity battery, and the removable camera itself. The smartphone case component can add some protection to your phone and can charge it as well. AFAIK, it’s the first smartphone 360 camera to be able to do this. The video quality is very good — one of the best ones for smartphone 360 cameras. There is a lot of detail, pretty good stitching, very little chromatic aberration, decent flare resistance. What do you think of the Ion360 U so far? I plan to compare its image quality against other smartphone 360 cameras such as the Insta360 ONE. In the meantime, it’s available direct from the official website. You need to specify which phone you have. If you have an iPhone 8, or 8 plus and it turns out to be incompatible, you can return it. Exciting collaboration videos coming soon!